This quote from His Excellency, Governor Akinwunmi Ambode, to spiritual leaders at the Inter-Faith Parley in the State House, on Tuesday, December 12, 2017, shows that Democracy, ideally practised, could indeed be an instrument for adequately meeting the needs of the people, stem strife, promote peace and prosperity, address corruption, banish ignorance, increase literacy and generally advance human worth and bring much happiness to a vast number of citizens. 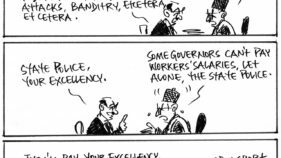 Or is this not how democracy – as espoused by Governor Ambode – should be? For experiences in our part of the world and even in advanced countries – recent and ancient – here and in many other climes, had and continue to convey unpalatable contrary impressions. Lincoln’s predecessor by many years, John Adams, First Vice President and Second President, in 1864, portrayed a rather melancholic picture of democracy when he said, “Democracy never lasts long; it soon wastes, exhausts and murders itself.” These two American Presidents were expressing views of democracy from two contrasting perspectives: Lincoln described what democracy, ideally, should look like, while John Adams’ submission stemmed from experienced and recorded consequences of how democracy was actually being implemented. A direct people-participation in governance or participatory governance, is not a recent concept. It can even be traced to ancient Athenian Greek when all adult male citizens actively participated in parliamentary proceedings. This model was not practicable as societies became bigger and more complex. But democracy as we know it today, took form after the German Revolution, when the Weimar Constitution promulgated at the end of First World War in 1919, put a minimum voting age at 20 and subsequent reformations brought the age further down to 18. Could we then assume that Democracy ideally means “the right of adults to vote without the restriction of race, class, education level and social position?” NO! In fact, this widely-held assumption and practice of democracy as just a matter of electioneering had been the reason for many unwanted consequences associated with it. To reiterate, apart from periodic election and voting, other features of ideal democracy include independent judiciary, rule of law, unfettered exercise of fundamental rights (freedom of association, speech, access to basic amenities, etc. ), adequate and proper representation, majority rule and minority right, multi-party system and free Press. Yet, in developing democracies, and even in most of the advanced ones, achieving the ideal seems elusive, but not because the solutions for the attainment of higher form of democracy has not been identified. Participatory Governance is a method where all channels of influence are explored, strengthened and engaged in a political process to achieve accelerated solutions to meet citizens’ needs and aspirations. 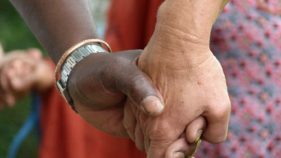 It is a means where all citizens, affected by issues, are engaged, involved and benefit from the outcomes of collective efforts and jointly-arrived solutions. Participatory Governance, as simple as the phrase is and as noble and natural as the concept is, must have proven effectiveness and profitability. Only very few politicians would be brave enough to adopt it though, let alone, championing same the way His Excellency, Governor Akinwunmi Ambode is currently operating. The practice can be very laborious, physically demanding and mentally tasking. It requires that you give primacy to, and pursue pro-poor policies; it requires correct attitude of humility, transparency and accountability; it is a process of constant consultations and engagement of people affected by issues throughout the lives of the programmes designed as solution(s) to address the issues. It requires that you carry out (along with the people involved), analytical research and assessment of needs and problems, design appropriate programmes (solutions), form network of suitable technical partners and allies who will enrich the values of the process and outcomes, monitor each step in the implementation process, review, correct or reinforce measures, disseminate efforts (especially in mass and social media) and document best practices, so that legacies achieved will be enduring and sustainable. All these best practices are features that are inclusive in governance – they are essential parts of Ambodeism. The concept of participatory governance permeates all developmental thrusts of Ambode’s Administration: health, security, roads and transportation, energy and power, education, housing, infrastructure, agriculture, employment generation, etc. Let’s take education for instance, you cannot run an all-inclusive government if the majority of your population is unlettered and ignorant on important issues. To prepare our future leaders for quality and universal participation in politics, he has achieved dramatic improvement in the education sector by employing no fewer than 1,300 qualified teachers for the Primary schools and by spending over N1 billion to renovate and upgrade infrastructure in secondary schools. As a listening governor, in order to address the protracted problem of Lagos State University (LASU), the governor came up with an Executive bill which gave five-year single tenure to the Vice Chancellor, increased the retiring age of professors to 70 and made the university a residential one. Now there is peace in LASU and the institution is gradually reclaiming its lost glory. To further strengthen the communication gap between His Administration and the people, improve the understanding of problems behind issues, explain challenges and solutions and rally the required support around his policies, programmes and activities for highly rewarding outcomes, Ambode has evolved a strategy of constant consultations and engagements of people in different fora of specific and general nature. It is a highly demanding venture, but a worthwhile one nonetheless, bringing immense benefits to the State. To proliferate gains of programmes and projects, Ambode continuously carries out massive awareness promotion of beneficial information and messages, especially on health and socio-economic services. 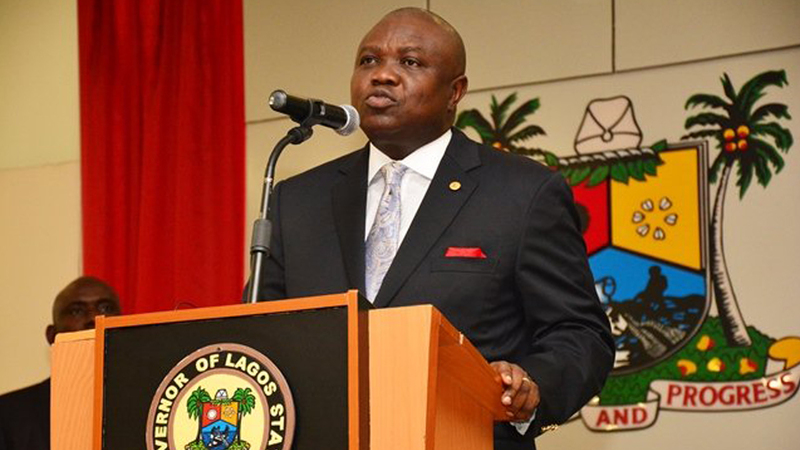 Ambode’s Administration has developed a cogent partnership with the media. Here again, the prominence of government policies is unrivalled. The Governor is the most trusted, the most famous and the most liked by the press and the public among all governors in Nigeria. This is evident in the responses and feedback process from such platforms as Inter-Faith parley and Town hall meetings, among others, held periodically with the people. Much in tune with the people yearning for more roads and other public conveniences, Ambode is gradually addressing these needs including general infrastructural growth and renewal. The Governor deservedly continues to receive accolades. He has constructed many new roads and fly-overs, including those in Ipaja, Mosan-Okunola, Oshodi-Isolo, Ikotun-Ejigbo and Somolu and directed that two new roads be built in each of the 20 Local Government areas and 37 Local Council Development Authorities. He undertook massive rehabilitation, modernization and expansion of Federal roads and more than 500 roads have been rehabilitated, while about 190 have been earmarked for the next phase. 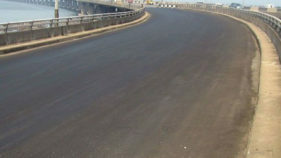 To meet the modernization quest of Lagosians, His Excellency is implementing ambitious and game-changing projects at strategic locations, across the state; at Oshodi, Yaba and Surulere axis, Badagry-Seme corridor, Epe-Lekki-Ikoyi axis etc; integrated infrastructural amenities, such as multi-lane express ways, state-of the art fly-overs and bridges, railway, hotels, recreational centres and parks, stadium and ICT centres are converged in each of these single locations. Definitely a bright and beautiful future awaits Lagosians as they prepare to inherit their new and Greater Lagos. Changes are occurring at a rapid and unprecedented rate, because the people have bought into Ambode’s vision and have consequentially become part of the driving force. They are ready to make the necessary sacrifices and hopeful that greater destiny awaits Lagos State. Ambode is aligning democracy with Abraham Lincoln’s definition of its ideal form: “government of the people, by the people and for the people,” and Lagos shall not diminish but will continue to grow in peace, progress and prosperity.